In anticipation of Jodorowsky’s Dune being released on Blu-ray and digital on July 8th, we spoke with director Frank Pavich about his gripping documentary, which explores the eponymous French-Cilean director’s doomed attempt to bring his adaptation of Frank Herbert’s classic 1965 sci-fi novel to the big screen. 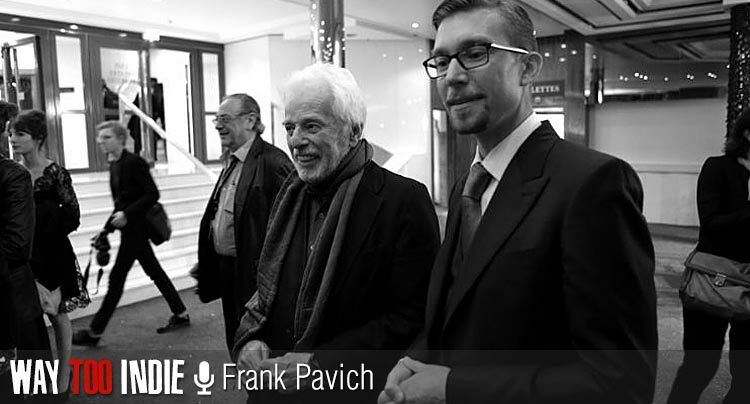 In our chat, Pavich speaks about Jodorowsky’s natural magnetism, the bonus material we can expect to find on the Blu-ray, the incredible animated storyboard sequences in the film, an alternate universe in which Jodorowsky’s Dune made it to theaters, and much more. 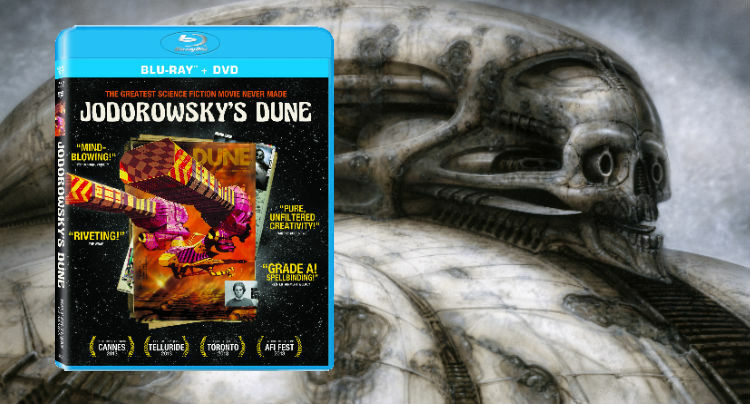 Own Jodorowsky’s Dune on Blu-ray and digital on July 8th. Although Dune never got made, I’m glad it led to this film being made, because Jodorowsky is such a fantastic documentary subject! I could listen to him talk for days. Frank: He’s one of a kind, for sure. We’re so lucky to have him as the main subject of our film because he’s a natural performer. He’s a trained mime! He studied under Marcel Marceau. Jodorowsky apparently wrote the very famous mime routine of a mime trapped in a clear box trapped in another clear box. He’s this natural storyteller, has great hand movements, and he’s like a cartoon character come to life. When you hear Jodorowsky say things like, “Dune will be the coming of a God,” what was your reaction? Were you fascinated? A little spooked? Frank: It was more than we ever could have wished for. The whole, “Dune will be the coming of a God,” was actually the very first thing we recorded him saying. When we first sat him down to record, he said, “I want to give you a prologue!” He went into this five minute spiel. “First I made El Topo, then I made Holy Mountain, and then I wanted to make Dune, and I wanted it to be an LSD trip without dropping acid!” We couldn’t believe we were actually getting it on tape! Me and my crew packed up our gear, walked to the sidewalk, looked at each other and said, “Oh my god! Can you believe how amazing this film is going to be!” We had no idea how magnetic he was going to be, so we were overjoyed. I shudder to think of the process of cutting out of the movie a lot of the things he had to say, because I’m sure it was all mind-blowing. Frank: Thanks to the modern invention of DVD and Blu-ray, you get to include those gems that couldn’t fit into the narrative structure of the film. Thank god we have all this fun bonus material we actually get to share with people. Once you watch the movie, how could you not be in love with him? You want to watch another hour and a half of him. Another three hours. Another ten hours! Who wouldn’t want to see that? We wanted to give a little more footage of this incredible person and the amazing, sometimes controversial things that come out of his mouth. Talk a bit more about what’s on the disc for people who are going to pick it up. Frank: Some of it is essentially deleted scenes, like an animated sequence or two that we trimmed out. Most of it is stuff we cut together from the raw footage specifically for the DVD and Blu-ray release. There’s Jodorowsky espousing his thoughts on religion or his thoughts on the Hollywood machine or filmmaking in general. We just sort of let him talk. Our interviews were conversations between me and him. Sometimes you hear my voice in there, but it’s really just him giving his philosophical ideas on so many different aspects on life and art. I love the animated sequences in the film. Frank: I knew right when I had the idea to make this movie that the artwork was the key piece of the film. That’s what makes it an interesting story. He and his team of “spiritual warriors” spent two years in Paris making all these designs, storyboarding the film, doing costume designs…all this stuff. We knew once we saw the storyboards that they had to be brought to life in animation. The audience needs to see his vision moving, giving them an idea of what the film might look like. I asked an artist friend of mine for a recommendation for an animator. He said, “There’s one person: Syd Garon. He’s the only one you need to speak to.” Once I saw Syd’s work, it was like he was one of my spiritual warriors! I knew he was the right guy for the job. I really like Syd’s technique, because he can do so many things. He understood that we needed to have a light touch to the animation. What we tried to do was bring Alejandro’s vision to life. We didn’t want to re-do the artwork and make it all CGI. Only Jodorowsky really knows what it would have looked like. The movie exists in his imagination. The power of it is it exists in my imagination, in your imagination, and in all the viewers’ imaginations. We took the very simple, pencil-on-paper drawings and breathed just enough life into them to animate them and kind of lift them off the page. We keep the simplicity in there so you get an idea of what the sequences would look like, and hopefully your imagination is sort of filling in those blanks. We found this amazing audio interview with Dan O’Bannon, but we had no footage to go with it! We didn’t want to pan over black and white photos, so we thought, let’s just animate it. We gave Syd an idea of what the sequence should be, and he just went to town. One of the crowd-pleasing moments in the film is Dan talking about meeting Jodorowsky for the first time and getting some magical, spiritual marijuana from him and going on this otherworldly trip. It’s hilarious. Can you imagine an alternate universe in which Dune was completed? What do you think cinema would be like? Frank: Let’s say that he got to make his film. He completed it, and it was however many hours it was going to be. People wen to go see it in 1976. There are two ways it could have gone: It could have been a huge success, thereby changing the timeline of movies forever, or it could have been a huge disaster, thereby also transforming the timeline of movies forever. If the first true space opera had been Jodorowsky’s Dune and not Star Wars and it had been a success, what would have happened? Would the major studios have looked at themselves and said, “We need to give more money to the next drugged out, trippy, spiritual movie made by a completely unique artist”? I think we’d be having more avant-garde, larger budgeted films. If his film had been a disaster, the biggest one ever, how would that have changed the world? Fox was already iffy on Star Wars, and science fiction was unproven as producing money-making films. Had Dune come out and been a failure, Fox might have pulled the plug on Star Wars. Where would we be without Star Wars? Would we have these big tentpole superhero movies? The different realities that could have existed are incredible.